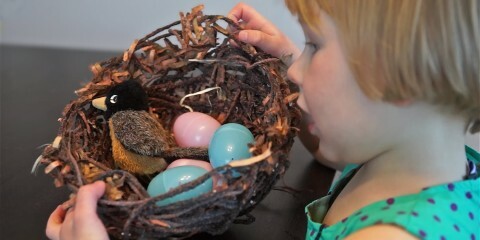 This is a great alternative to a basket for collecting eggs or for everyday use. 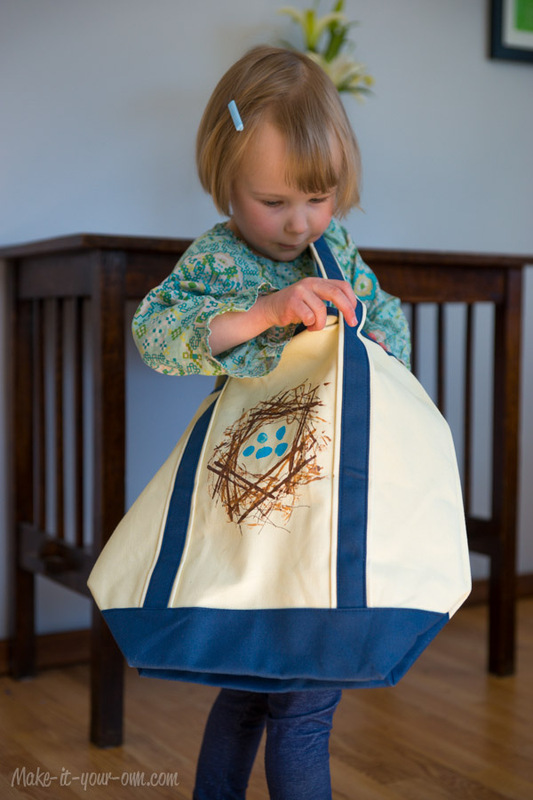 Purchase a plain, neutral coloured bag from a craft or dollar store. They are often featured in the plain t-shirts section. Before you get started on the project be sure to cover yourself and your work space as the paint may not come off all surfaces if it accidentally spills. Buy brown or tan fabric paint (nest colours) and place it in a large, shallow tray. 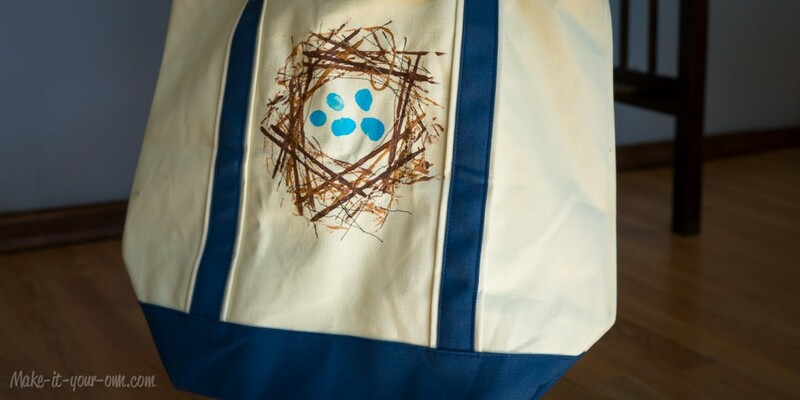 Use collected twigs, popsicle sticks or yarn to dip into the paint and create a nest shape in the centre of the bag, leaving a space in the middle for your eggs. Let dry overnight and complete on the other side in the same fashion if you like. We added a bit of sewn lines (using a sewing machine) to create additional texture. Be sure to clean your tray/dish between uses. 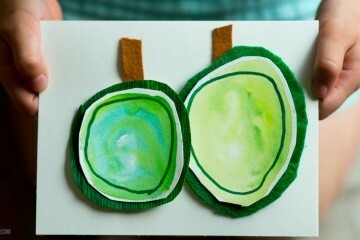 Put a small amount of blue fabric paint in your tray and using your thumb, create an “egg thumbprint”. Be sure to wash your hands throughly. Allow your bag to dry overnight. 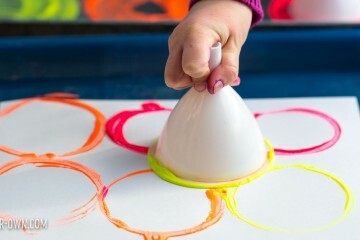 Fine motor skill development, hand/eye coordination, using a variety of materials to paint with.